Now that I am in the process of designing and copying things as 3D models I notice I really need to have a good ruler to figure out the sizes. Specially a caliper (Dutch: schuifmaat, Swedish: skjutmått) would be good. I know where to borrow one, but I should just get one for myself. This morning I asked myself, “Why would I buy one, if I could also print one?”. So instead of looking up the opening hours of the store I opened Tinkercad. A quick search only gave me parts of the tool, but they were good as inspiration. As usual it went surprisingly quick to create the model. Of course it helps that the design is simple and consists of basic geometric shapes. This close-up picture was also helpful for the details. When I was done I had modeled the entire tool (Link). But I wasn’t sure if it would fit together, look good, have the right scale etc. 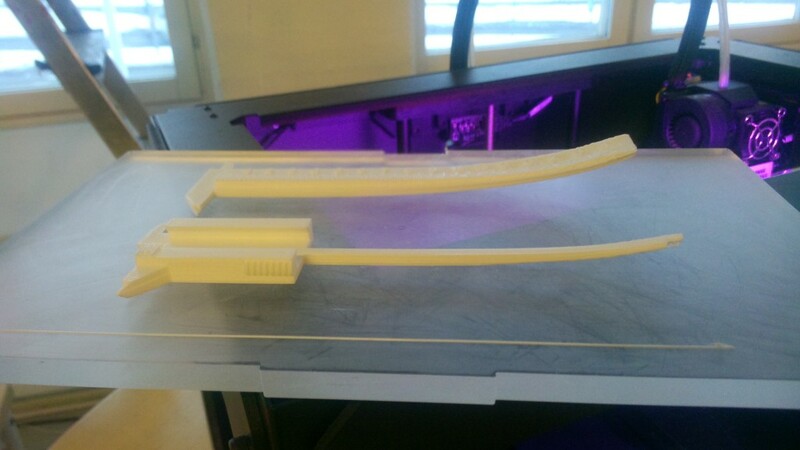 So then I took the model, cut out only the first part, and printed that out. In this way I could test the model without spending a lot of time and material. It turned out it was a good idea to do a test print. 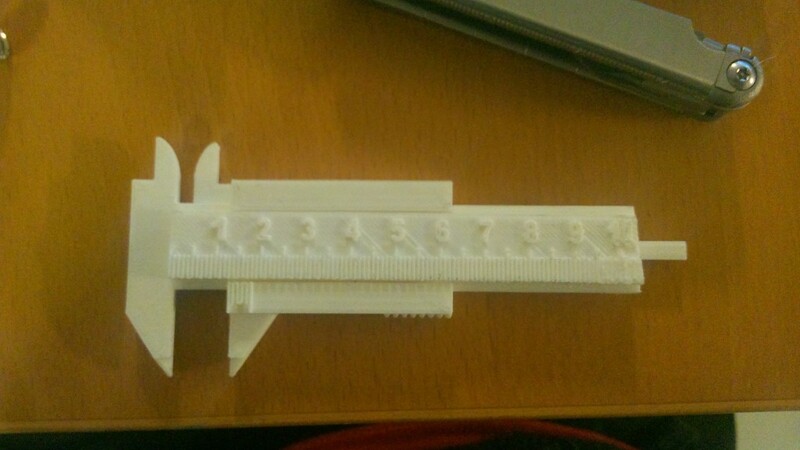 The scale of the ruler was correct, and the model looked quite good. A big issue though was that because of the big overhang there was a lot of support printed, which was hard to take away. In my second version I changed this to a small overhang, with an angle of 45 degrees (so it is supported by the lower layers and thus does not need support). I also added some room so the two pieces would be able to fit into each other. In my original model the inner part was exactly the same size as the empty space, which in real life would not work. 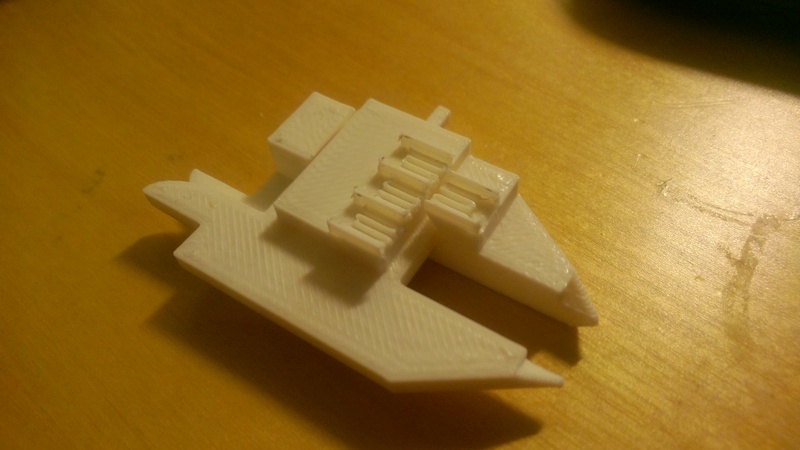 The second printed turned out really well. The parts fitted together, and the tool seemed to work. Still I made some changes again. 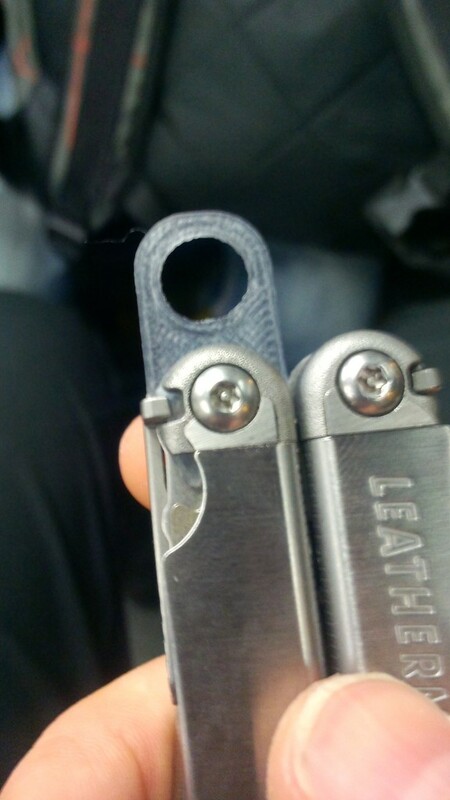 The extra space was reduced to 0.25mm on both sides, as the 0.5mm was more than what was needed. Also the height of the stripes of the scale was brought down to 1mm to make sure they would not break off. And I added numbers to the ruler, otherwise it would be kind of annoying to use. 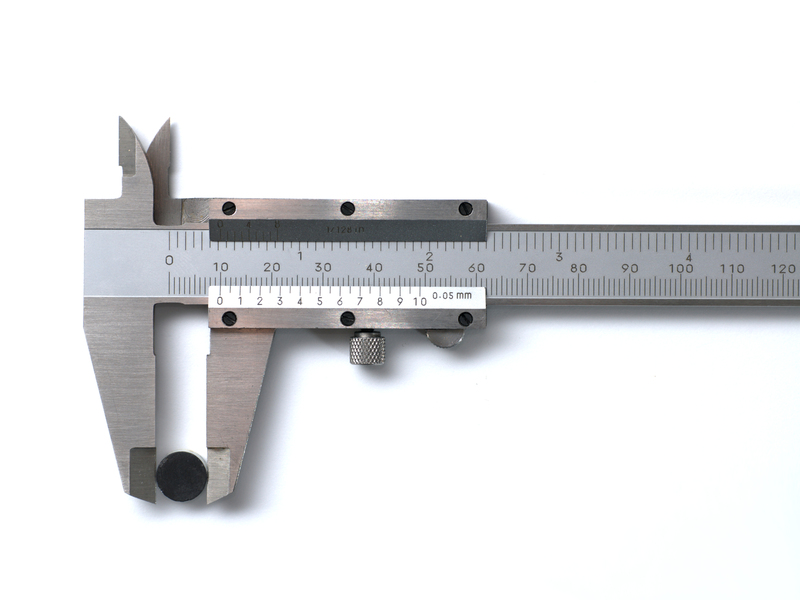 This time the model became a full size caliper again because I had faith that it would work. 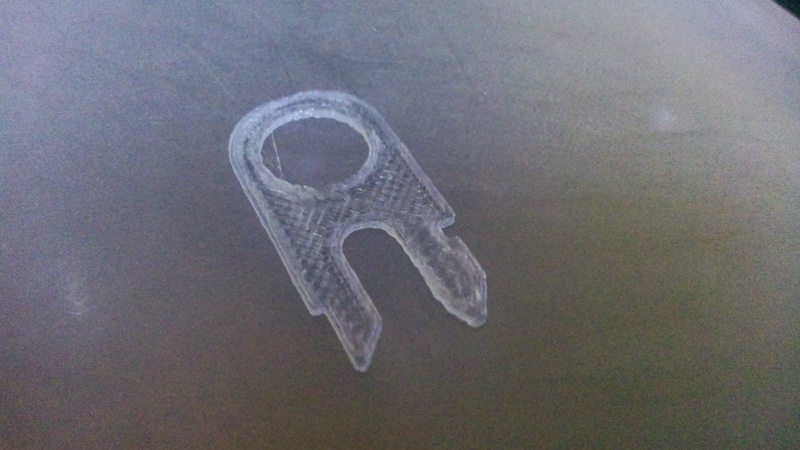 Unfortunately now that I was printing the entire tool it took the printer too long to print one layer, which made the plastic cool down and curl up. I hoped that later layers would push it down and correct it, but no. 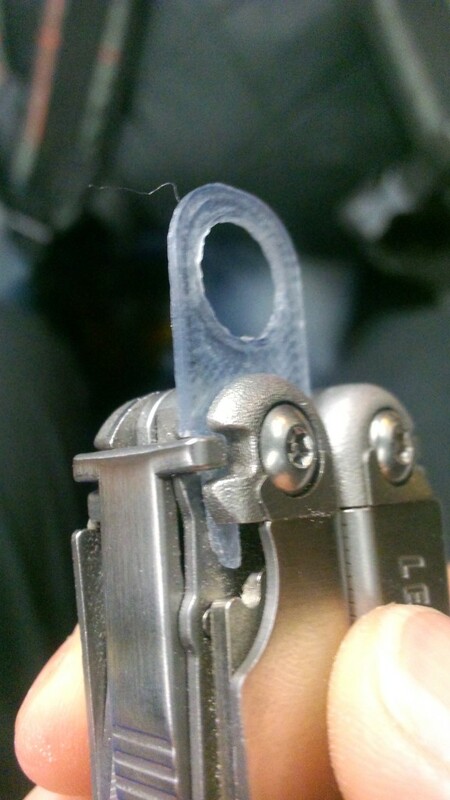 This of course caused the parts to not fit together, so I was forced to cut it shorter. Link to the final model. 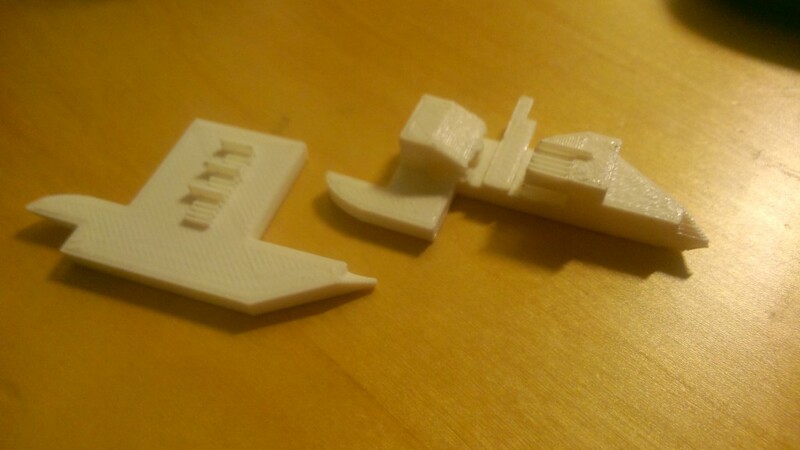 It is a good idea to try a small test print of the difficult parts of a big model. 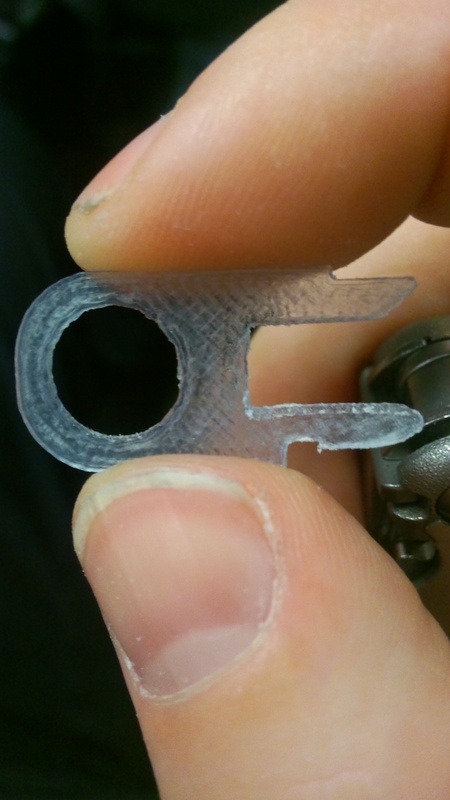 0.25mm on both sides of an object should be a good size to make it fit quite precise inside something else. Reducing overhang can be very rewarding.